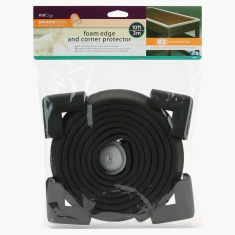 KidCo Foam Edge and 4-Piece Corner Protector Set | Black | Helps to prevent accident from household danger. Designed keeping your kid's safety in mind, this foam edge and corner protector set is a must-have. Cut the foam to the desired length and install along the sharp edges of furniture. The corner protectors keeps your baby from painful bumps. 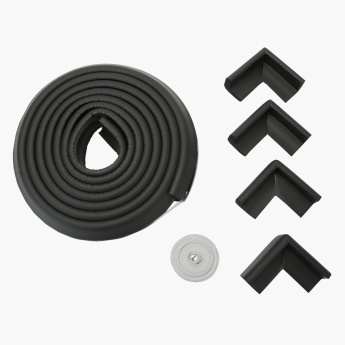 This set is extremely easy to use and does not damage your furniture in any way. Feature 2 : Easy to use without damaging furniture and fixture. Feature 1 : Helps to prevent accident from household danger. Feature 3 : Provide soft cushiony protection from sharp edges of corner of furniture and fixtures.